If you are upgrading from a previous version of Motorcentral, see Updating Motorcentral. 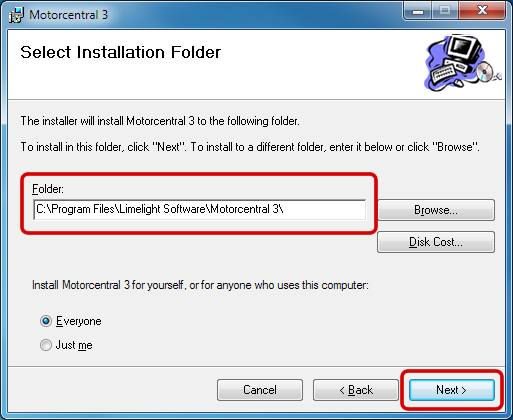 Want to install Motorcentral Demo version? 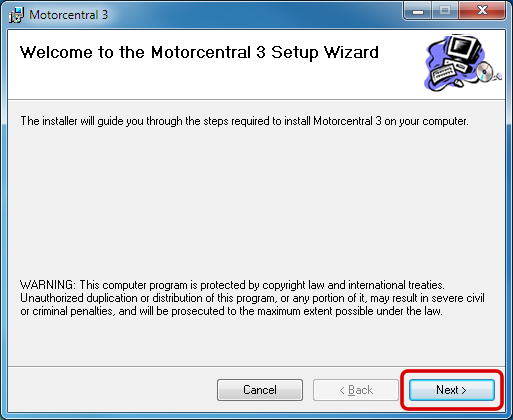 You will need to register online before being able to download and install the demonstration version of Motorcentral. Please read Downloading the Demo Version for more information. Make sure that your computer meets the current System Requirements. Double-click to Run the motorcentral.msi file located on your Desktop (or other saved location). 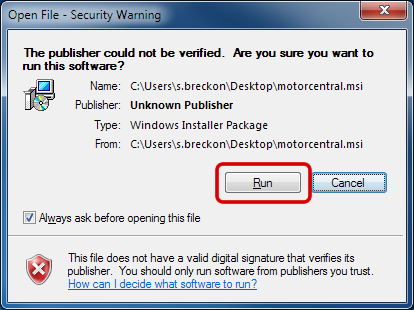 If you are prompted with a Security Warning, click Run to proceed. You may also see a User Account Control message. In this case, allow the setup to run by clicking Yes. You will be greeted with a welcome screen. Click Next to continue. Next you will be presented with the Motorcentral Software License Agreement. If you agree with the terms of the agreement, click "I Agree" and then click Next to continue. This will bring you to the Installation Folder screen. Keep the suggested installation location or select your own then click the Next button. Click Next at the Confirm Installation screen. 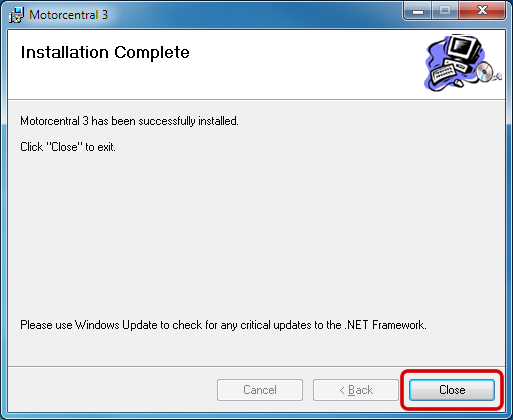 Once the installation is complete, close the setup wizard by clicking Close. Congratulations! You have now successfully installed Motorcentral. You will see a new icon on your Desktop from which you can launch the Motorcentral application.